If you are all set to invest in a new learning management system, you are in the right place. Online learning platforms prove to be the best training resource for businesses, schools, colleges, and universities. However, some learning platforms have so many unnecessary features that only ‘add’ to your cost. 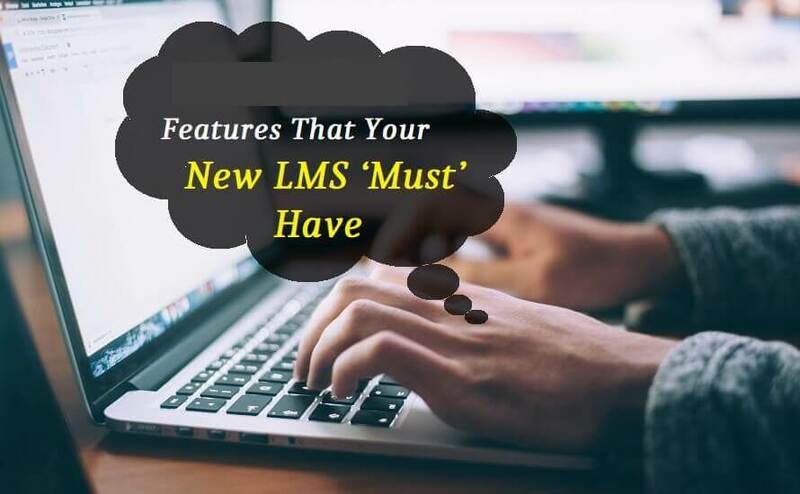 So, if you are purchasing a new LMS, you must keep a check on the following important features and ignore all the unnecessary features. First of all, you must ensure that the LMS has a responsive design, so that the learning material is easily accessible on any device, for example, smartphones or tablets. Through a responsive design, the online system would automatically align the content in a version that suits the user’s device. Assessing any gaps in learning is highly essential. This is why the LMS must have inbuilt features that support a variety of eLearning assessment methods or tools, such as eLearning templates. Also, there must be an assessment tracking feature to determine the progress of learning among the users. If the users aren’t able to navigate through the LMS platform or use the UI, there’s no point of investing in an LMS. Hence, always choose an LMS that has an intuitive user interface, as the UI will be aligned with the abilities and skill sets of the eLearning team. To make sure that your online training objectives are met, you must purchase an LMS that has both a ‘reporting and analytics’ feature. In most of the LMS platforms, you may find a feature (often known as LMS reports) that allows you to generate metrics on the basis of the major pain points related to online training. This is one of the most important features that you must consider. You would obviously want your sensitive data to be protected against prying eyes. Hence, always invest in an LMS that has data security measures in place, for example, encryption protocols and protected servers. Try to read online reviews about the LMS, so that you make the right decision. Be it a corporate or an academic eLearning project, this checklist can help you explore the best of the best LMS platform instantly. So, before hitting the online market, make sure that the LMS you choose is complete with these 5 “Must Have” features.